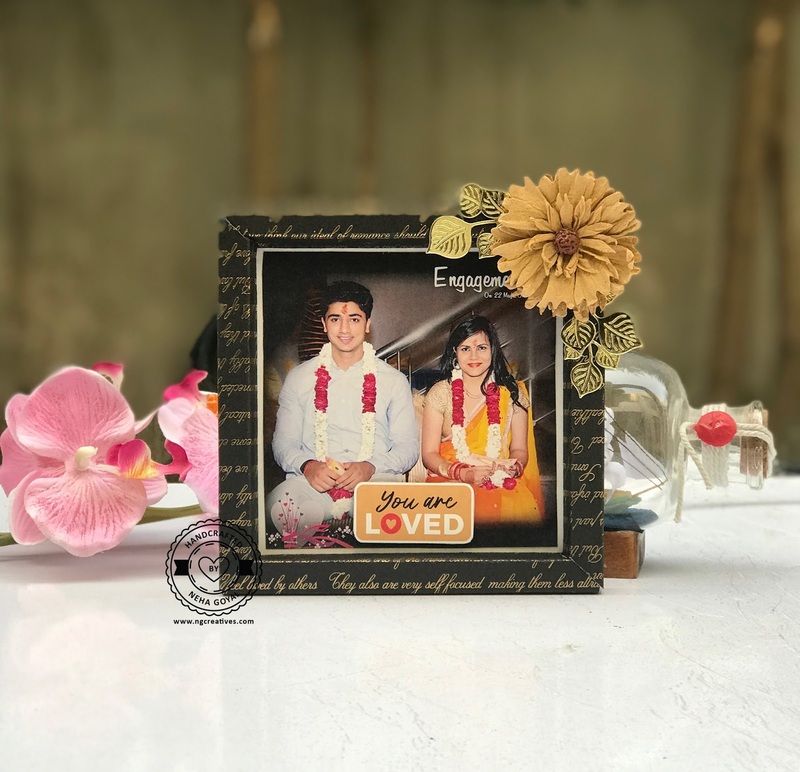 How to make a shadow box frame? Today i am going to teach you how to make a shadow box frame. I had an old calender with my husband and my pictures of our engagement. That was a waste for me so i thought of using one of the picture from it. Take a 10''x10'' of cardstock because my photo size measures 4.75"x4.75". Score at 0.5", 1" 1.5", 2'' and 8", 8.5", 9", 9.5". Rotate the cardstock 90 degree and do the same. Make sure to score at 2.5" and 7.7" as shown. Now cut the marked area as shown in the picture. Now apply tape on all four sides of cardstock as shown (on last score line). Use a very strong adhesive so that it sticks easily. 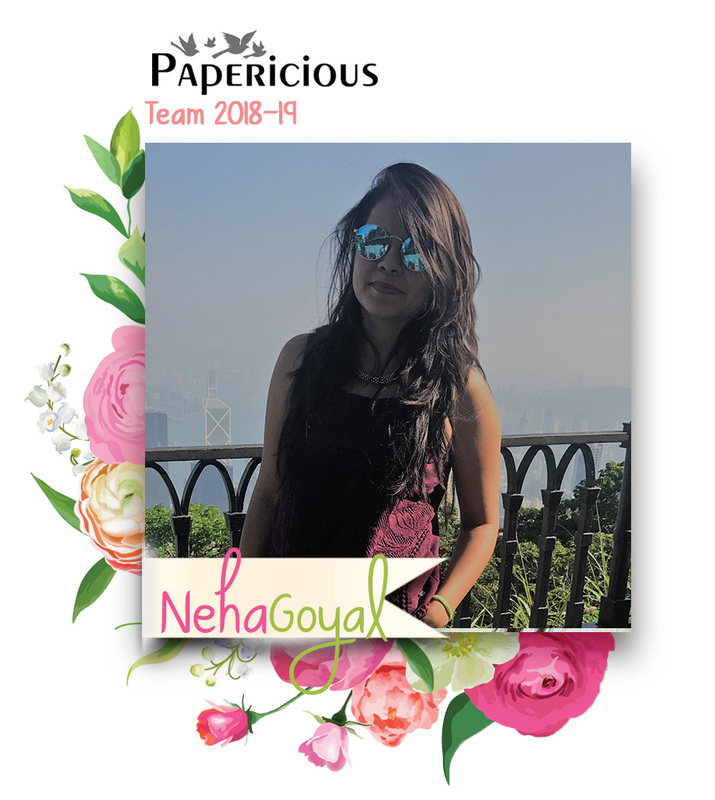 Reverse the paper side apply adhesive as shown in the picture. Now onto the fun part. From one side fold the score lines in half and then again. Press firmly and pop up. Do the same thing from other side also. For the other two sides fold each scored line till it fits with the other two sides. And your frame is ready! Embellishing is up to you. 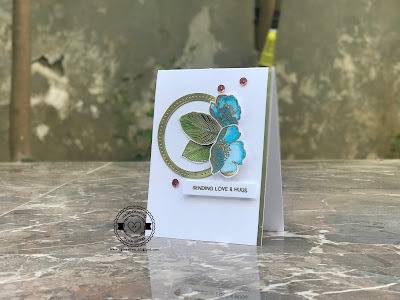 I wanted to keep it simple so have used a flower and few leaves diecuts. I hope you liked my frame! 1. 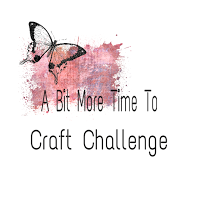 A Bit More Time To Craft Challenge #67 - "Anything Goes"